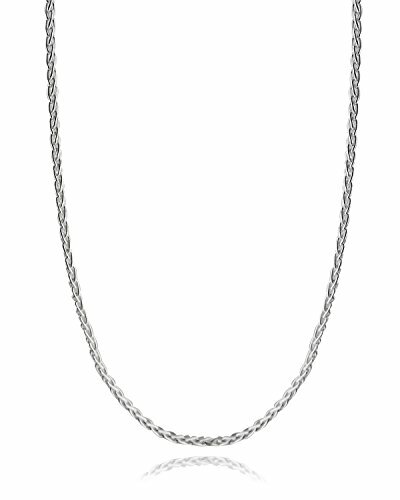 3mm Italian Spiga Wheat Diamond Cut chain is made of 925 sterling silver with a lobster claw closing. Chain is stamped Italy and 925. Lengths: Chain is available in 4 lengths: 16, 18, 24, and 30 inches. Chain necklace comes in a gift box. Available in sizes 16", 18", 24", and 30"
SATISFACTION GUARANTEED: We are a US-based family-owned business that promises superior customer service including excellent communication and easy returns.